We will be in Washington DC at the 2017 AWP Conference & Bookfair. 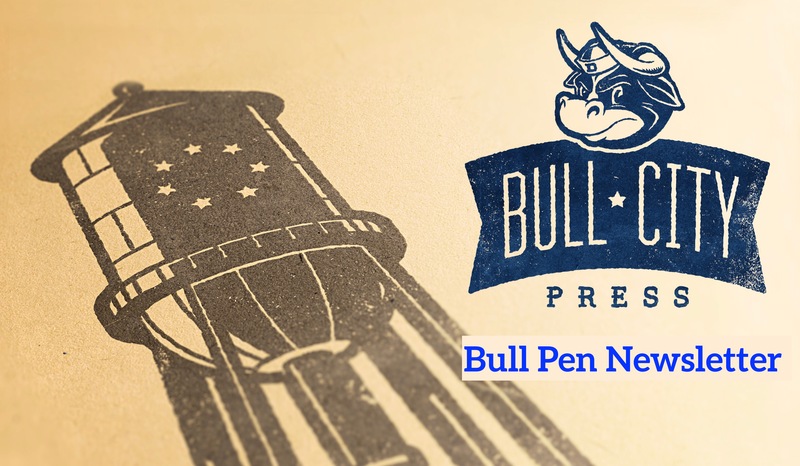 Check out our Bull City Press in DC Guide for information about our author signings, panels, and offsite. Congratulations to Rochelle Hurt, contributor to INCH 17; her book In Which I Play the Runaway (Barrow Street) has been long-listed for the Julie Suk Award. Lesley Valdes, participant in the Grind Daily Writing Series, appears on Curator. Stephanie Barbé Hammer reviews Equilibrium, winner of the 2016 Frost Place Chapbook Competition by Tiana Clark at the Los Angeles Review. Lillian Takes a Walk (St. Martin’s) by Kathleen Rooney, contributor to INCH 16, gets reviewed at the Chicago Tribune. Dynamite, selected by Jennifer Grotz as the 2015 Frost Place Chapbook Competition winner, by Anders Carlson-Wee reviewed at 30 North Blog. Congratulations to Aimee Nezhukumatathil, contributor to INCH 3, who will be published this year by Copper Canyon Press! Ann Hudson, participant in the Grind Daily Writing Series, is the featured poet in the latest issue of Spoon River Poetry Review. At 32 Poems, Maggie Smith pens an appreciation of “Taken In” by Anders Carlson-Wee, author of Dynamite. Check out this summer’s line-up at The Frost Place; it will knock your socks off! Sonja Greckol’s piece, “Mother Loss” (drafted & revised in the Grind Daily Writing Series) appears in Jan/17 La Presa. We are so excited to welcome Leslie Sainz as our new Associate Editor. Another way to hear from BCP (but not like every day) is to join our Mailing List.